Canopy volunteer Carole Langston sits by a tree planted by Canopy at Nixon Elementary School in Palo Alto several years ago. Javier Vasquez glows with pride as he gestures towards a row of trees that he helped plant and prune through the organization Canopy. The now-mature trees shade the Eastside College Preparatory School campus in. East Palo Alto where he attends high school. For Vasquez, the row of thriving trees is a step toward a thriving urban forest. Canopy is a local organization that dedicates itself to nature preservation in Palo Alto, East Palo Alto and surrounding communities. Vasquez, a senior at Eastside College Preparatory School and a Canopy youth staff member, has been working with the organization for the past two years. As Palo Alto continues to expand as a medium-sized city, the trees and wildlife that once dwelled here are pushed further and further away. Founded in 1996 to combat this problem, Canopy consults the city when new trees need to be planted. “Canopy’s mission is to educate, inspire, and engage youth, residents, schools, businesses and government agencies to protect and enhance local urban forests,” says Anwyn Hurxthal, part-time Communications Director at Canopy. Canopy relies on volunteers from within the community to achieve its mission of preserving nature in the city by educating the community, planting and maintaining trees. Vasquez’s job includes planting and maintaining trees and educating community members about proper tree care. Vasquez works with Canopy twice a week during the school year and longer hours during the summer to plant and maintain trees. He has worked hard during his career at Canopy and was thus awarded the Young Forester Award, which is awarded annually to an involved youth who models Canopy’s core values of stewardship, education and service, according to Canopy’s website. “I think the most rewarding thing was when I got the Young Forester Award because it was great to be up there being acknowledged by so many people,” Vasquez says. 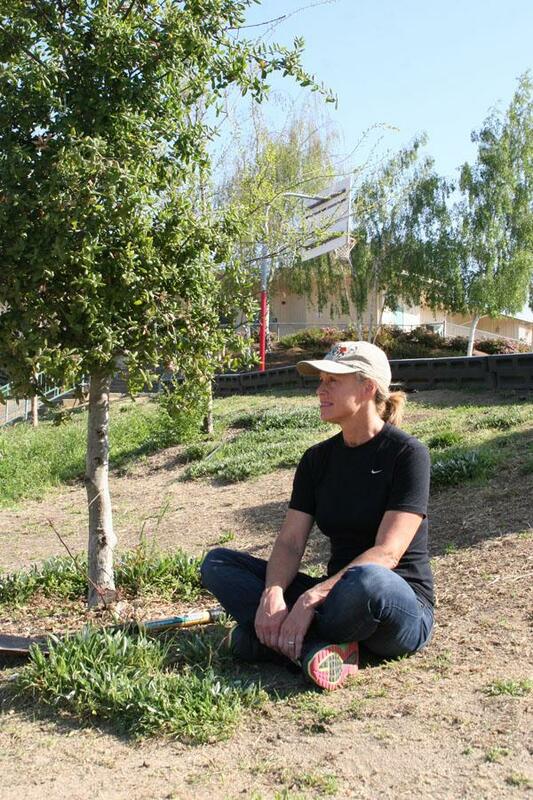 Carole Langston, Palo Alto High School parent and volunteer at Canopy, plants trees around the community during the winter and educates people about the urban forest. Langston also leads tree walks through different neighborhoods. On tree walks, which take place on the second Saturday of every month, certified arborists like herself identify trees, give care advice, provide historical context for trees and answer questions. At Henry M. Gunn High School, students are currently developing a tree walk where students can scan a QR code on trees around campus, which will direct them to a website to learn about the scanned tree. A similar tree walk was once developed for Paly, although according to Langston, it failed to attract an audience. “The more you know, the more you understand … [and] the more likely you are to want to help take care of it,” Langston says. Canopy exemplifies this philosophy with the education they provide to the youth of the area.